Surprise your loved one by making a beautiful handmade card for this Valentine's Day. There is nothing more heart touching than a homemade greeting card that will be remembered for a long time. 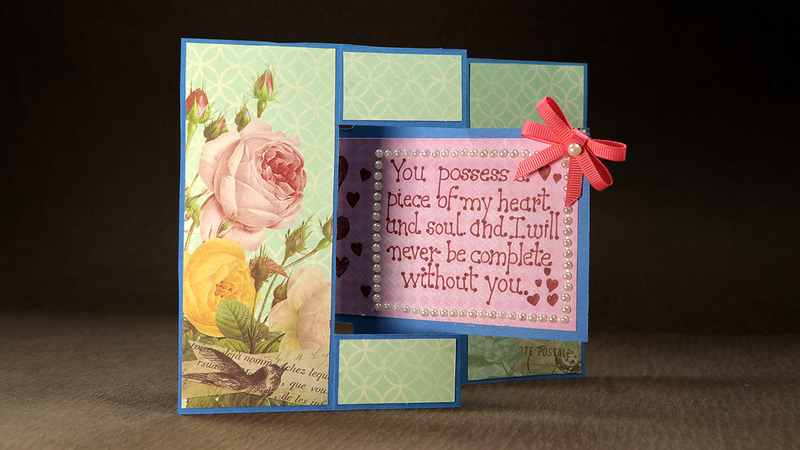 In this Artsy Fartsy tutorial, you will learn how to make swing cards for Valentine's Day. In these types of love cards, you can place a sweet romantic message for your partner in the swing portion of the greeting card. This unique card is certainly one of the best love cards to make for the special occasion of 14th February. So, just get ready to follow the step by step swing cards instructions in this tutorial to make a stunning Happy Valentine's Day card.